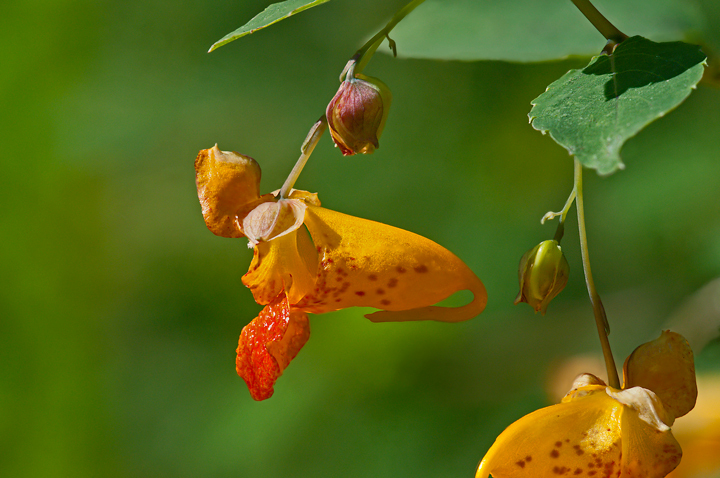 The Touch-me-nots are blooming along the Red Cedar State Trail. They are the most prolific Flower this time of year. They are a bit difficult to photograph because they grow in a tangled mass of flowers. I like to photograph them covered in dew but there wasn’t a lot of dew on this day. 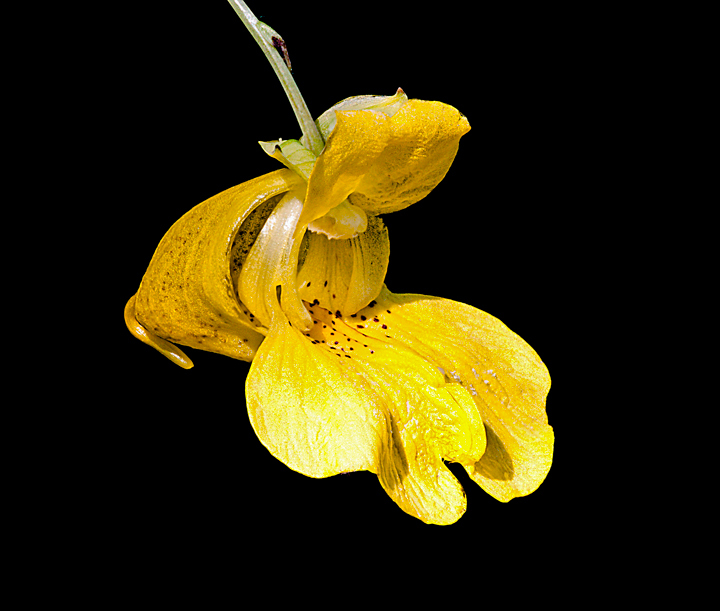 I also like to use a photo stacking technique so I can separate the flower from the background. 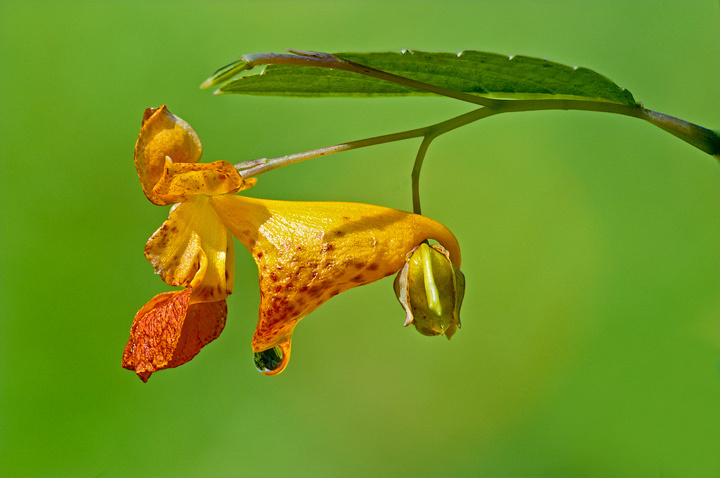 On this day most of them were Spotted Touch-me-nots with only a few Pale Touch-me-nots. As we inch toward fall there are not a lot of flowers around to photograph. Most of the summer flowers came and went quickly and the few fall flowers around are coming early. 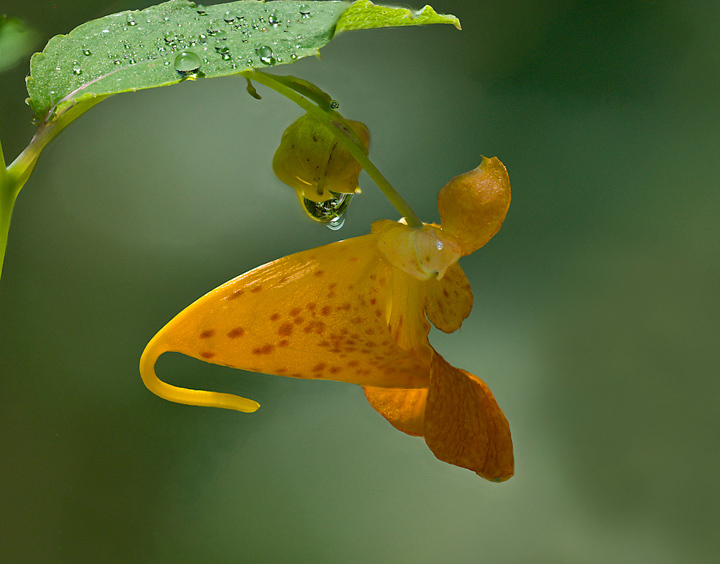 This is the time of year I like to hike along the Red Cedar State Trail to photograph the spotted and pale Touch-me-nots. It’s been a challenge this year. I like to try and photograph them when they are covered by heavy dew but they started blooming early this year. Normally they peak the end of August and the first part of September. Because of the early bloom we have not had many days when the flowers have been covered by dew. I have the added problem that I live on a ridge about 10 miles from the Red Cedar Trail so it’s difficult for me to determine if there is a heavy dew out. I usually ask my wife to report back after she drives along the river on her way to work. An added problem this year has been the constant wind. We seem to have had wind all spring and summer this year. Wind eliminates the heavy dew and makes it difficult to photograph the small flowers. 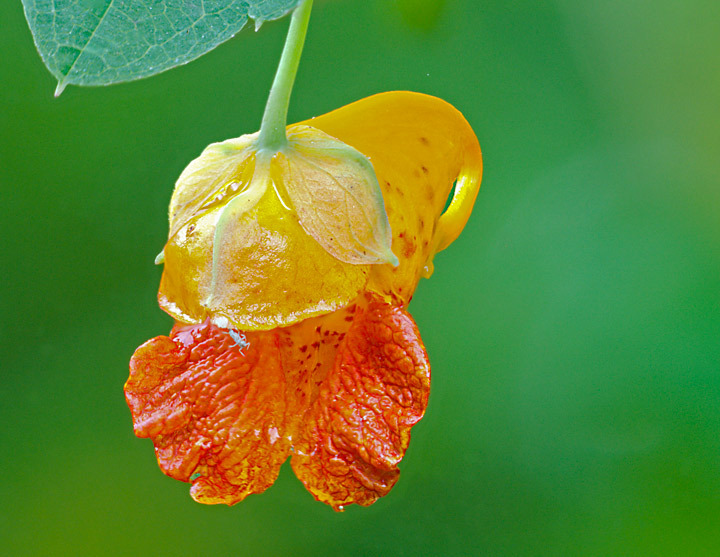 Touch-me-nots typically grow in a dense tangle of flowers so in order to photograph them it is usually necessary to take multiple shots of the flower. To do this I use as short a depth of field as possible then take multiple shots changing the focus slightly with each shot. 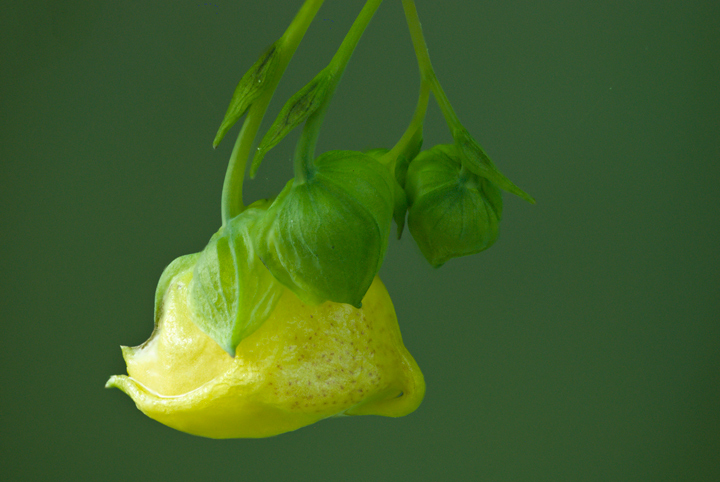 This allows me to get the entire flower in focus while eliminating other flowers and the dense vegetation. Once I load them onto my computer I combine the multiple shots into a single image using a program called Helicon Focus. Unfortunately this only works if there is no wind blowing. If the wind is blowing you will get an image with ghosting. An added problem just about every year is the Wisconsin Department of Natural Resources (DNR). Typically they mow one swath along each side of the trail during the early summer. Unfortunately about midsummer they mow a double swath along the trail. This forces me to move deeper into the tangled mass of flowers to get a shot. 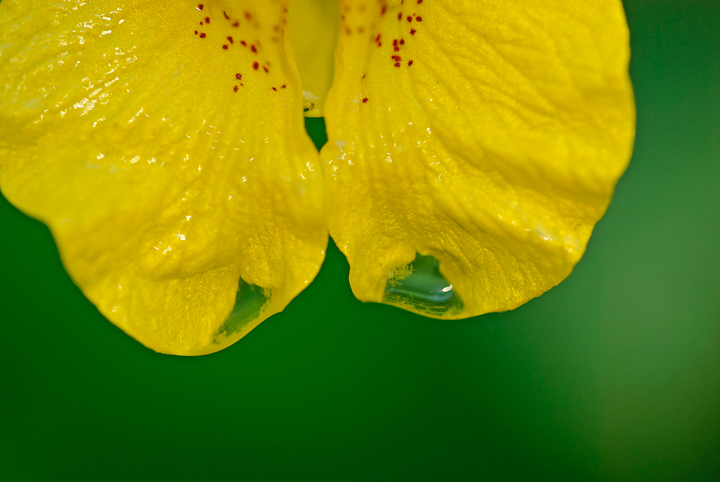 It makes it difficult to get the tripod situated without knocking the dew off of the flowers or creating movement. In spite of the challenges I have been able to get a few photos so far this year. 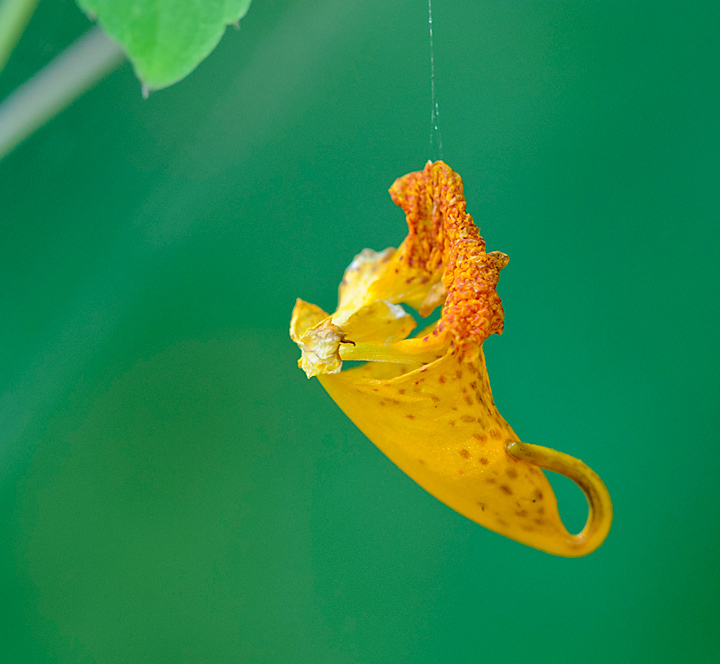 This is the time of year when the Spotted and Pale Touch-me-nots are out in great numbers along the Red Cedar State Trail. It’s something I look forward to photographing every year from midsummer on. This is a shot taken several years ago and won first place in the River Alliance Photo Contest. Normally I like to use my tripod and a my Sigma 150 macro lens to photograph them. Sometimes I use extension tubes to allow me to get a little closer. 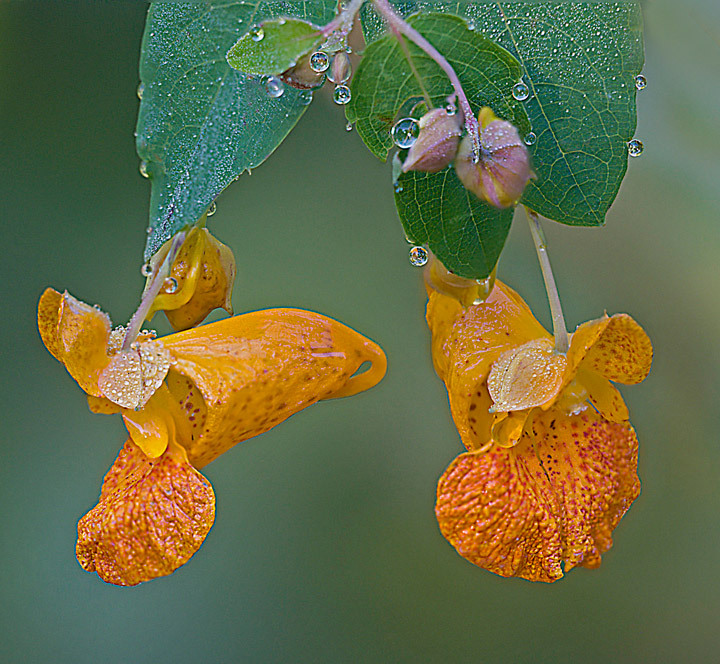 Most of the time I photograph them in the early morning when the morning dew is dripping off of them. It also is very helpful if they are in the shade and the winds are calm. 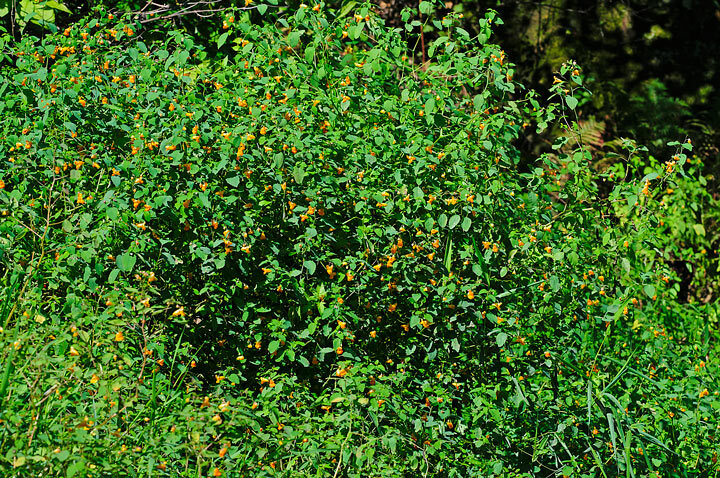 Photographing them can be somewhat of a challenge because Touch-me-nots grow in large clusters. This makes it difficult to setup the tripod without causing the morning due to drop off of the flowers. It is also difficult to photograph the individual flowers while excluding background distractions. 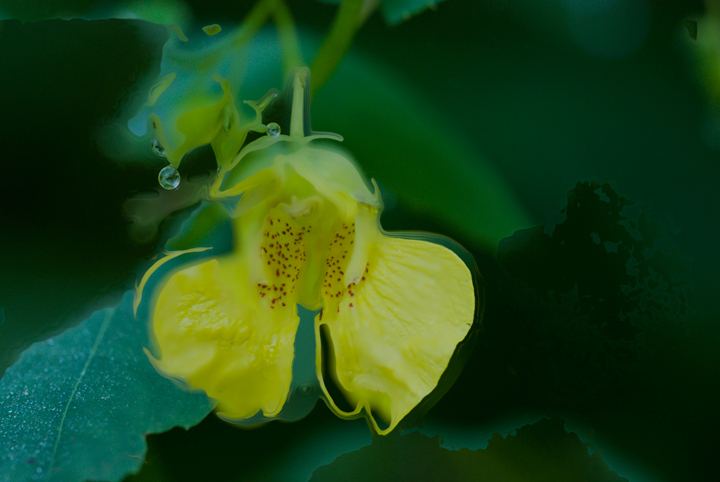 The shape of the Touch-me-nots presents a problem because it is difficult to get the entire flower in focus and any one time and at the same time exclude background noise. If you close the aperture down to extend the depth of field so the entire flowers is in focus you are likely to get a lot of distracting background noise in the photo. 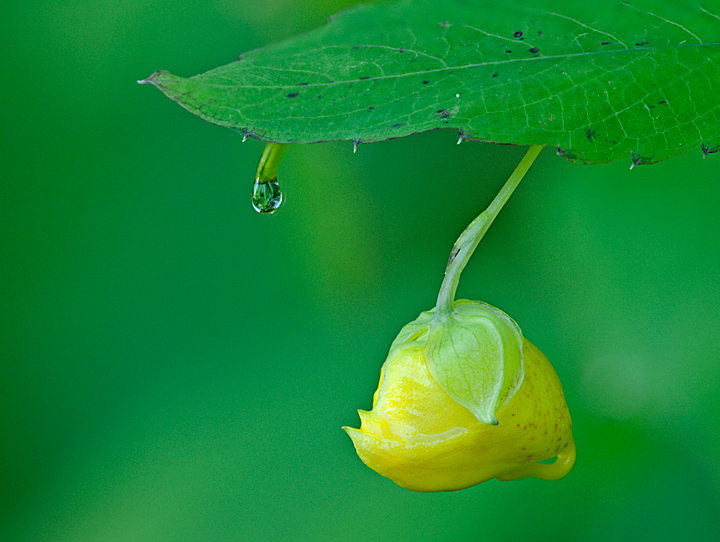 Sometimes, you get lucky, you can find a flower standing alone with a distant background. In order to control the control the depth of field I open the aperture to narrow the depth of field. I then take multiple shots changing the focus slightly between shots. I then process the photo in a program called Helicon Focus. this allows me to select the shots that include only those portions of the flower that I want in focus. The key to this technique is to have a steady hand, and not have any wind blowing. This is somewhat rare along a river valley so it can take a number of trips and some persistence to get the photos you want. This shot shows you what can happen when you combine several shots taken when the wind is blowing.